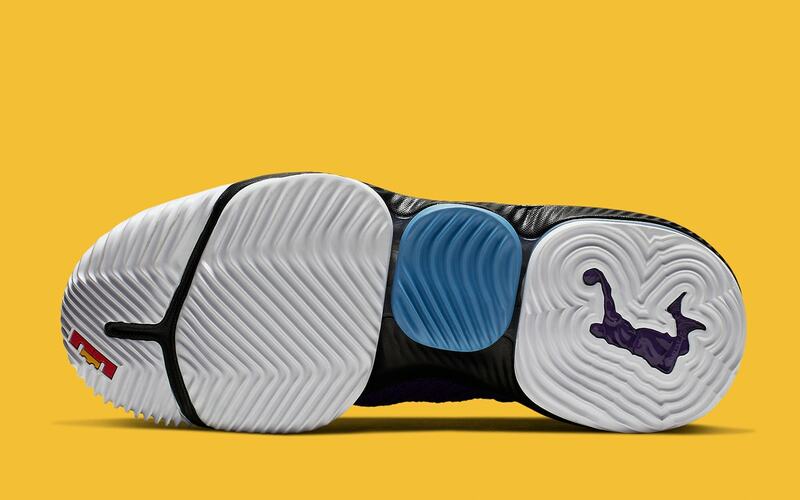 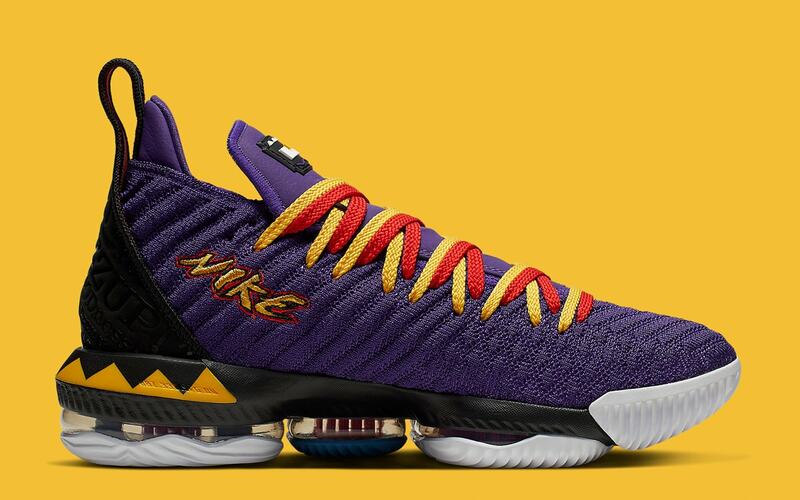 Like his friend Chris Paul, LeBron James is dedicating a colorway of his signature sneaker to Martin Lawrence’s iconic 90s sitcom Martin. 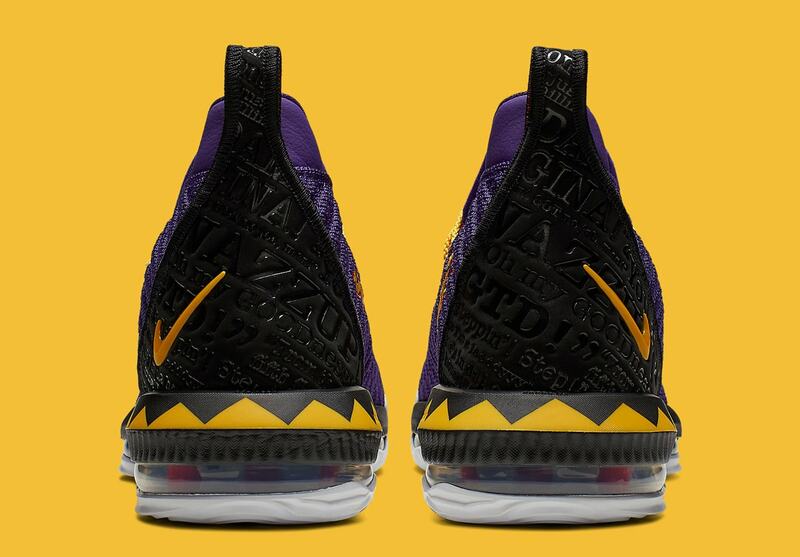 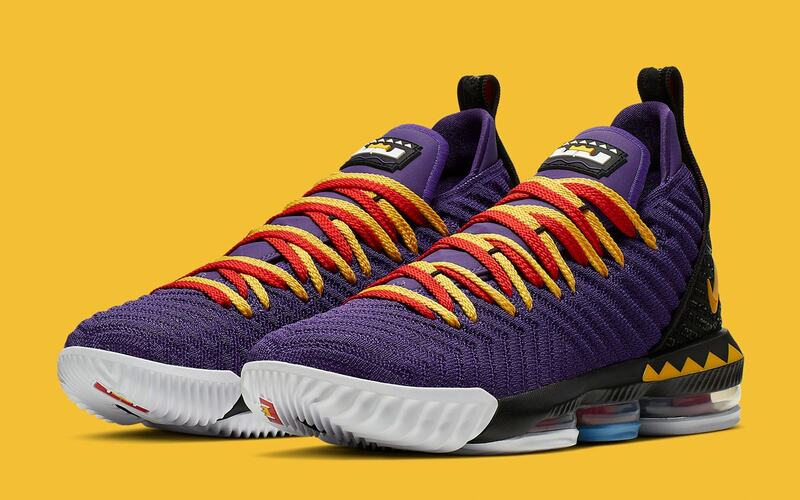 The upcoming Nike LeBron 16 bears a purple Battleknit upper, contrasting crimson and yellow laces, a black heel and graphic work inspired by the show’s famous intro, posters, and DVD covers. 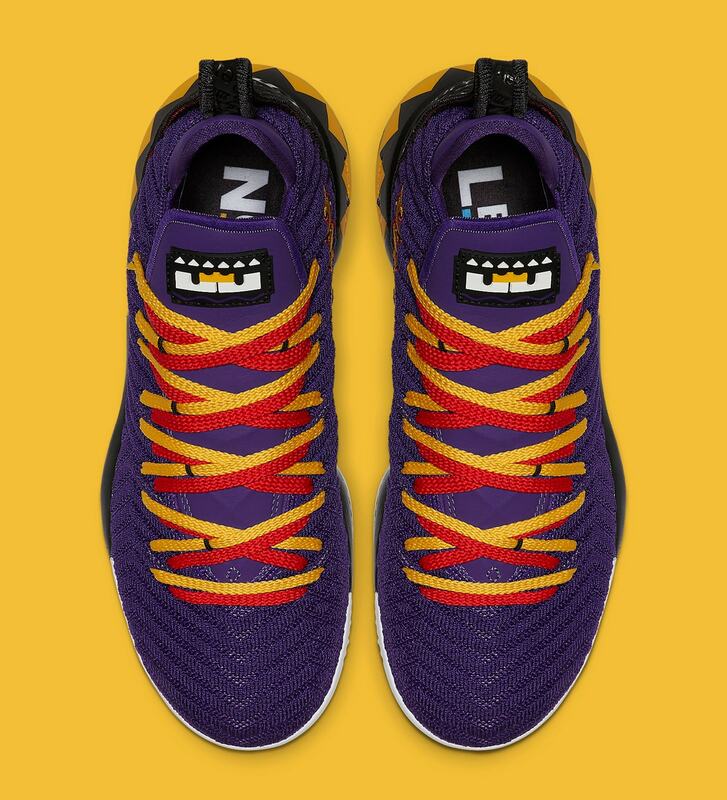 Longtime friend Frankie Walker confirmed the nod to Martin, James’ favorite TV show, on Instagram. 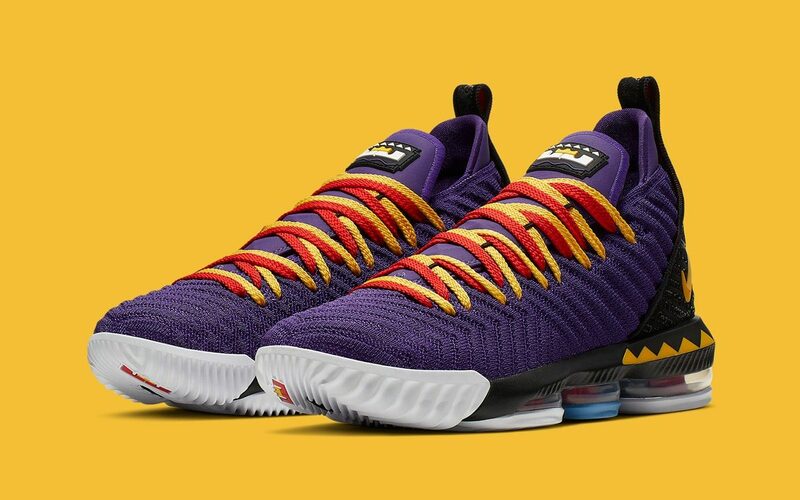 Nike has just confirmed the release for the LeBron 16 “Martin,” which is scheduled to take place on April 16th, Martin Lawrence’s birthday. 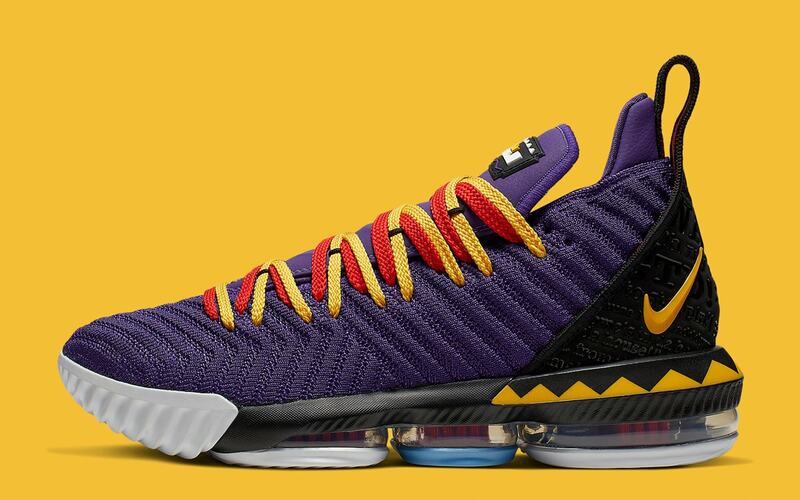 Pairs will be available from select online stores like Nike.com and Foot Locker for $185.